Second Story Additions | Sarnia | Carosyl Home Additions Inc. Does your property lack the real estate for a home addition? Sometimes the only place you can build is up! A second story addition is the perfect way to get the living space you need without having to sacrifice your yard. If you are thinking about maximizing the square footage of your home by adding a second floor, you want to make sure you go with an experienced home addition contractors. A poorly designed and constructed second story will have a ripple effect on the rest of your home, putting you and your family at risk. 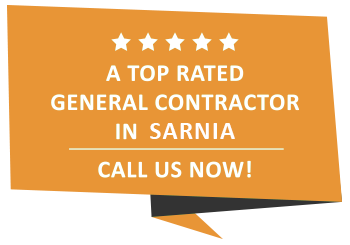 Save yourself the worry and team up with the professionals at Carosyl Home Additions Inc.. As a premier Sarnia general contracting company, we bring decades of experience to every second story project we take on. When you team up with us, your second story addition will be structurally sound and look great! Let’s start planning your second story addition! There comes a point in most homeowners’ lives where they require additional living space. If you have a one story or ranch-style home, it can be difficult to imagine what a second story would look like. At Carosyl Home Additions Inc., we are extremely skilled at matching new architectural designs to an existing structure, our goal is to make your second story appear as if it was in the original floor plan. While the cost of adding a second story may seem a bit steep, this addition will quickly add the value of your home as it increases square footage and enhances curb appeal. It is a very wise investment for any homeowner in the Sarnia area! If you are in Sarnia or the surrounding area and interested in having a conversation about your second story ideas, we encourage you to get in touch with us today. We are looking forward to hearing them!